I have been loving the colour mustard lately! I think it is such a perfect colour for Autumn because it just seems to match the colours of the beautiful leaves and trees during the season. Of course it is Spring here in Melbourne but that ain’t stopping me from wearing mustard! I’ll be wearing this colour all year round, honey! I am a sucker for cool sleeves so the balloon sleeves on this sweater are well balanced with the cropped length of this sweater. Along with this sweater, I chose this skirt from Pull&Bear which I love! The fit and length is exactly what I like and plaid is so in currently! It is a darker toned plaid so that the mustard colour remains the key colour of this outfit. To match my skirt, I chose this cute little Hieleven bag which I am obsessed with. I have been searching for a mini bag for a long while so when I came across this one, I immediately fell in love. The navy colour makes it versatile to pair with many outfits and the pink accents add a fun detail. Another of my recent purchases are these black biker boots. This is my first ever pair of this style and I have literally been wearing them with everything from denim shorts to off shoulder dresses. For me, biker boots scream rocker chic and the lace-up and cross strap detail just make this pair ultra edgy. How great is mustard! Thank you babe! I am obsessed with mustard this season and the color looks so good on you. Oh so much love for this mustard sweater babe! I can totally feel you, once I’ve fallen in love with a color, I can’t stop wearing it 😉 You look stunning! Thanks Carms, how good is mustard! Amazing look, love the colour combo! These colours look gorgeous together! Love the grungy vibes. Thanks so much Andreea! These boots are my fave right now! Mustard is such a cool color! Awesome, right! Thanks Federica, hope you’re having a fantastic week! I love mustard but I cannot pull it off to save myself. It looks really lovely on you though! I am sure you can Didier! Thank you!! Mustard color looks so pretty on you ! Love the entire look ! Gorgeous outfit! I love how you’ve styled it. And your legs are incredible! 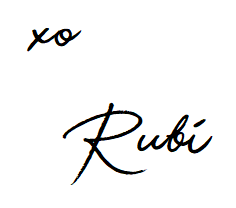 I so much love how you combined your look Rubi! The colours match perfectly and those shoes make a great statement. Simone you’re always so sweet, thanks gorgeous! Loving mustard this fall. Such a cool look with the biker boots. You look so stunning! I’m loving mustard at the moment too and this sweater looks fantastic on you. I might try and look for a Summer dress in this hue, as I seriously love it. You look super chic and stylish! Love this look on you! Simply FABULOUS! Thanks so much Len, you’re too sweet!! I’ve been seeing so much mustard lately and I love it! Love this pairing with biker boots too, girl! Im going to go and buy one now!! babe you look sooo beautiful!!! I can’t even!!! Love it girl!! You look stunning and I adore your boots. I don’t blame ya for living in that color! Mustard is such a pretty color and looks incredible on you! Gosh, I just came across your blog and I love your style! This outfit is so well put together and scream autumn! I love this outfit. You certainly should wear mustard all year, it looks so good on you. What I’d give for Spring weather here right now. Love how you get to wear pieces with an autumnal vibe/colour palette but with way less layers. It looks so cool! I am loving the mustard trend for fall – it’s such a nice way of infusing a happy colour into our wardrobes! I love how you styled this look with plaid. You’re so on trend! Thanks Siffat, you’re the best! Loving this look! I love mustard sweaters for fall. Such a bright statement! Thanks Chloe!!! Glad you like them! Great outfit!! Love the color combination of the mustard sweater with the dark plaid skirt! Mee too! Thanks Rina, oh will def check it out! I love the color combo! Nice look! How is it that you always look so flawless and stunning!! I love everything you wear, seriously need to raid your closet! Daaaamn every photo of you is perfection babe! Absolutely love this outfit, especially the flat biker boots, as well as mustard colour of the jumper. Perfect! You are too sweet gab! thanks babe!! Mustard & burgundy make such a great color combo. You look gorgeous! Such good combo right! Thanks Kara! wow! You look awesome <3 Love your shoes! Oh wow loving that mustard jumper! That outfit is so cute! I love the color of that top. How good is the colour! Thanks Court! This mustard color fits you great!! I like the outfit, well done! I love this simple yet edgy yet chic look! The biker boots give it the perfect amount of power. I love this look! That shade of mustard yellow is so perfect, and I really am obsessed with those boots! You are absolutely killing it in these photos girl! love the outfit you’ve put together. Such a cute cozy sweater!! This is definitely your color. You look so stunning!! This is such a perfect look for Fall. Love the color of the sweater on you. Thanks Maryam, glad you like it! Great post – love those sunglasses! Thanks April, they are my fave right now!! Love the red and yellow combo <3 been trying to incorporate that into my wardrobe as well! Love your sweater…the color is my fav! Have a great week ahead! Mustard is one of my favourite go to year around colours. I swear it suits people with darker skin in any season. You look fab!